King Brand® has been the proud manufacturer and seller of high quality medical devices since 2007. We have spent the past 10 years developing and marketing medical devices for the treatment and prevention of soft tissue injury and disease. Our goal is to help people relieve their pain and heal their injury. To reclaim their mobility, their activities, their lives. At King Brand® our goal is to develop the safest and most effective healthcare products possible for your injuries. We focus on finding and sourcing only the highest quality of materials for our products. Our products are FDA Registered and it shows. 1-844-400-2525. At King Brand® Healthcare we are here for you every step of the way. Our BFST® Wraps, ColdCure® Wraps and KB Support Tape are FDA Registered medical devices -- ColdCure® and KB Support Tape are Class I medical devices and BFST® is a Class II medical device. These products have been designed, manufactured and tested to meet very high standards of quality, safety and performance. This is just part of the significance of being FDA Registered. We work with medical professionals, regulatory bodies and government agencies to ensure the highest quality medical grade products. We spend heavily on R&D (Research & Development) because we are committed to bringing you the best products you can get anywhere in the world. We constantly strive to ensure our products are the best quality, form and function on the market today, and in the future. Our BFST® technology and ColdCure® gel are unique to King Brand®, and to the market at large. Our medical device licenses mean that all of our products are effective and completely safe for use. At King Brand® we take quality seriously. We inspect every factory on a regular basis and only use factories that specialize in manufacturing each part of our product, bringing the specialization needed for top quality. Each order we place with a factory is inspected before it is shipped to us, and inspected again upon arrival. Our BFST®, ColdCure® and KB Support Tape products are made with medical grade materials that are biocompatible. While many of our components are manufactured in other countries, the final product is manufactured at our headquarters in Canada, and this is reflected in the high quality of our products. We only use the best materials and the best factories because we want to make the best possible products for you. You can purchase our products directly from us through this website or give us a call and we will place the order for you over the phone. We also have a number of resellers located throughout Ontario and several in the U.S. Click here to visit our Reseller Map page or give us a call toll-free at 1-844-400-2525 to find the closest retail location. King Brand® has U.S. fulfillment centers located in California, Georgia and New York. We also ship orders from our locations in Washington state, Vancouver and Ontario. Our system picks the closest center to you, so your order will always ship as quickly as possible. We won't just use any fulfillment company -- these facilities must meet our standards or we won't use them. Why In-House Technology and Support? At King Brand®, all R&D, manufacturing and Customer Support is done in-house. By combining these three elements in-house, we are able to listen to and record all feedback from our customers, all ideas from our designers, and incorporate all this information into any design, technology, or product changes in general. 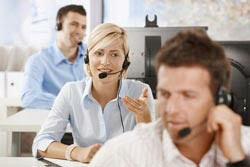 At King Brand®, all members of our team can directly speak to one another. We are able to bring you the best functioning, best performing, and best quality products available on the market. When you call us, one of our Customer Service Representatives will answer from either Collingwood, Ontario or Burnaby, British Columbia. You will never be redirected to a call center. Listening to all feedback is important. It makes our products stronger, it makes our service stronger, it makes us better as a company. All of this translates into better results for you, the customer. Just read our Testimonials section and see for yourself! We use all of the incredible resources we've mentioned to make our products better. We make sure we engineer the best solutions. We make sure we manufacture with the best quality and lowest price. We make sure we protect our intellectual property and hold our suppliers accountable. We make sure you get the best product in every way possible. Providing the best products we can, to help you get better and stronger, is what we have been doing since 2007. Why even mention Legal Services? Lawyers play a big role in business these days. In order for our suppliers to provide the quality we require for the various services we obtain from them, we need them to sign contracts to ensure a firm commitment to King Brand®. This means a lot of contracts and that means a lot of legal services. We also protect our R&D using both the patent process and proprietary trade information. We use trademarks to protect our property and copyright law protects our websites and communications. We make sure that we are protected, which in turn protects you, our customer. If you buy a King Brand® product you can be sure it is truly the best product available anywhere, because we make sure all the companies we hire live up to the quality we expect. We use the best law firms in their field and they are all working towards what is best for King Brand® and for our customers. Note from KB WebMaster - The text below is primarily intended to assist with Google properly classifying this page content. To learn more about our products please visit our website.<br>King Brand has been manufacturing and selling medical devices since 2007. Our Treatment Advisors can help you pick the right products and answer your questions. Our Advisors are devoted to helping you with your recovery. We invest in engineering and R&D so we can bring you the best possible products. We inspect our manufacturing facilities regularly and only use the best ones. Our devices are made from high quality, biocompatible materials. The King Brand ColdCure and BFST Wraps are FDA Registered medical devices. KB Support Tape is also medical grade. You can order from us via the website or over the phone. We have several distribution centers throughout the U.S. as well as our locations in Ontario, Vancouver and Washington. We have resellers that are located in Ontario and the U.S. if you would like to buy in-person. We have a distribution partner who has taken over the sale of our Shoulder products. We protect our intellectual property and make sure our suppliers meet our high standards. We do our R&D, customer support and manufacturing in-house. We are always striving to improve our products.